Kenjutsu is the umbrella term for all (koryu) schools of Japanese swordsmanship, in particular those that predate the Meiji Restoration. The modern styles of kendo and iaido that were established in the 20th century included modern form of kenjutsu in their curriculum, too. 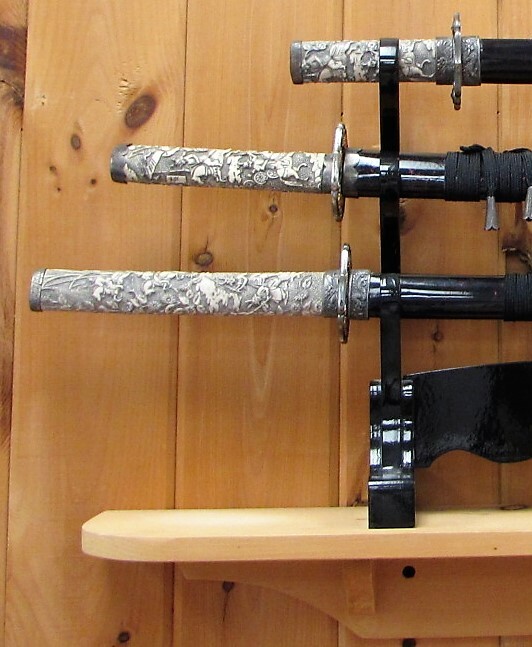 Kenjutsu, which originated with the samurai class of feudal Japan, means "the method, technique or the art of the sword." 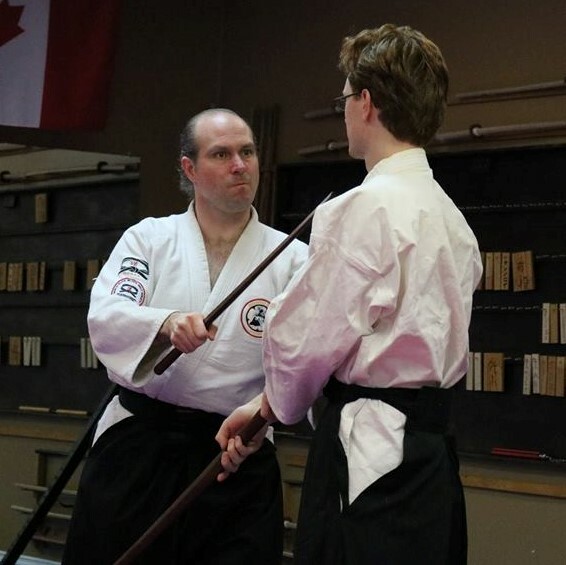 This is opposed to kendo, which means "the way of the sword"
Specifically the style of kenjutsu we teach, Hyoho Niten Ichi-ryu, is that developed by Miyamoto Musashi in the early 1600s. 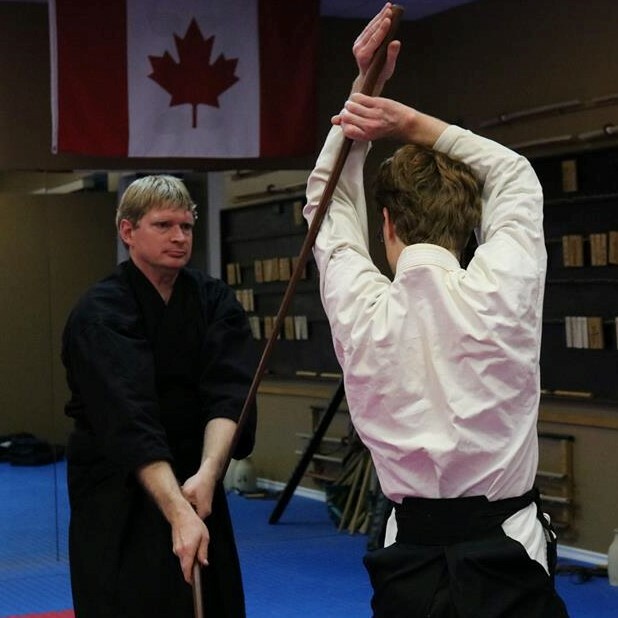 This style teaches techniques for the Tachi or long sword/katana, Kodachi or short sword/ wakizashi and Nito or two swords (one long sword and one short sword). The number of forms or Seiho is small and learning the basics is easy. Perfecting the forms/seiho on the other hand can take a lifetime. 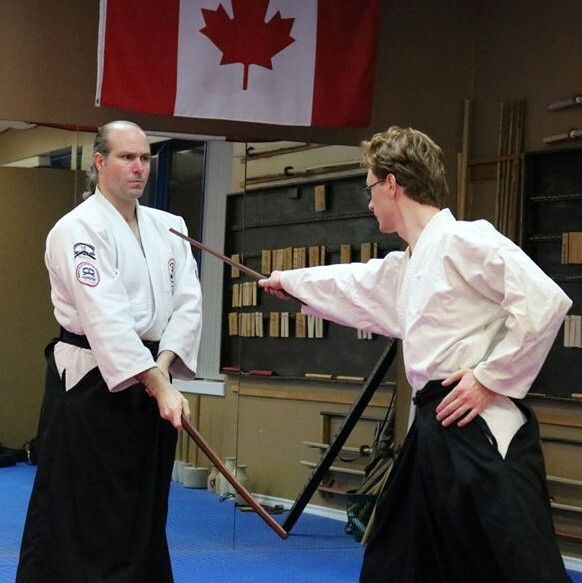 Students begin by learning the twelve long sword forms, than the seven short sword forms and finally the Nito or two sword forms. ($100.00/Month if combined with our jiu-jitsu program! ).